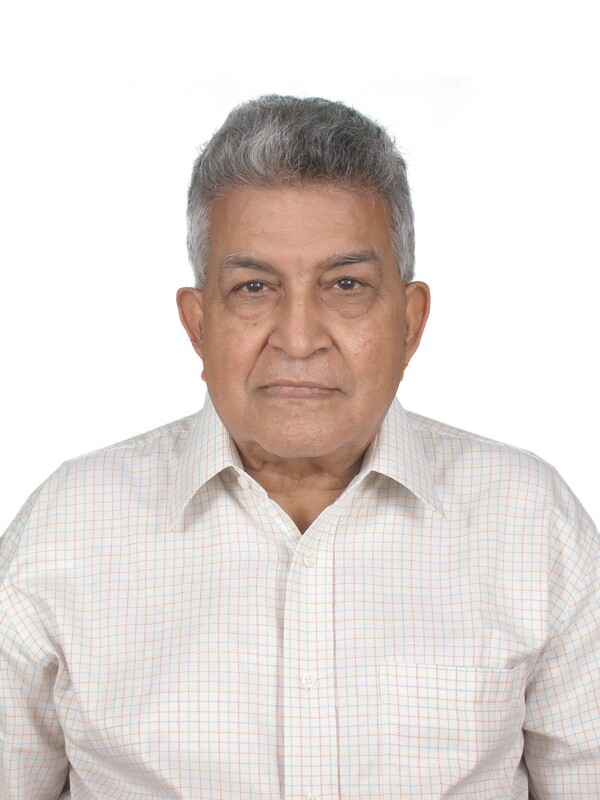 Sri PN Devarajan was the Chief Patron, Mentor and Advisor of Our Trust since 1996. He was a great source of enegy, enthusiasam, knowledge and as well as a great humanbeing. He was an instrumental in developing our Trust widely through his high net work of people and services. He was an epitome of caring and sharing, learning and teaching, loving and being loved human being. He gave all he had without an iota of expectation to all those he came across. He has been a light house for many, full of ideas, enthusiasm and drive to innovate.He was highly focused on his work. He was not worried about the possibilities of failure or success. He put his best efforts with complete dedication. His vision, quick ability to grasp and analyse an issue is unmatched. He was a doyen of petrochemicals and pharma industries who served as Group President of Reliance Industries & ESSAR Oil Ltd;, Director of Resrve Bank of India & Bank of Baroda, CMD of Hindustan Organic Chemicals Limited, Chairman for NEERI, Director for Dr.Reddys Laboratories, Aarvi Encon, Kris Flexipacks, Matix Fertlizers, Kotari Sugars & Petro Chemicals etc. He was a passionate believer in the need for enabling “social change agents” who in turn can strengthen the social sector, he founded Centre for Social Initiative and Management (CSIM) and Manava Seva Dharma Samvardhani Trust, Chennai. He lived his whole life was as a true Karma Yogi. His saintly simplicity, total lack of desire in fame and wealth and his abiding concern for the society and several causes are amazing qualities. He lives through the institutions he has built and several persons nurtured and developed. In the last two decades of his life, he spent considerable time in his efforts to serve the cause of the deprived people in variety of ways. His active participation in social work was very inspiring and notable that paved the way for others to follow in his footsteps. Siva Sakthi Homes can never forget his long association with us. Although he has reached the lotus feet of the Almighty at his ripe age, the loss is irreparable to all of us. We are offering our Pranams to the Great Man and praying for his continued guidance in the years to come...wherever he may be and in whatever worthy our activity.